A modem is a device that sends and receives data from your home and the Wide Area Network (WAN). 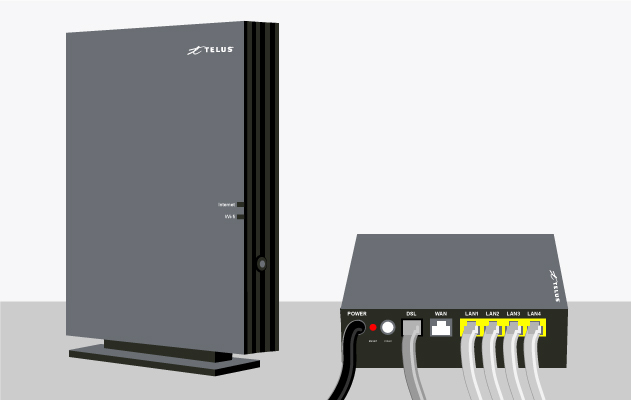 This transmission of information allows your modem to turn your inbound connection (at TELUS, either a copper telephone line or fibre optic line) into an Ethernet connection, which allows a router to connect to the Internet. Your TELUS modem is a single device with an integrated router and modem. Together, they connect your home to the Internet and direct a signal to all of the devices in your home. 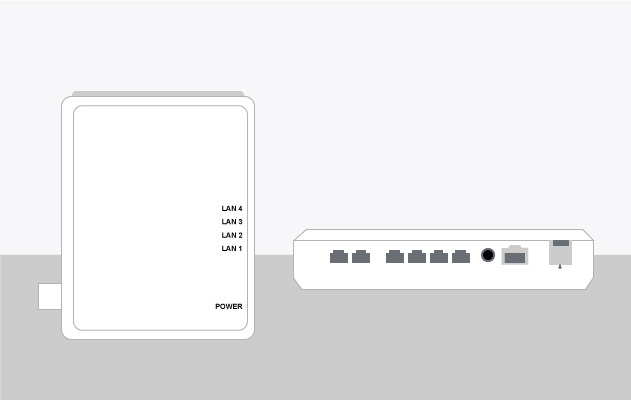 If you are a fibre customer, you may see two devices where your modem is located. One is a white ONT (optical network terminal) device that converts fibre optic light signals to copper signals to connect to your modem. The other is your TELUS modem. In Alberta, this is generally in the basement of your house near the electrical panel. Your TELUS technician installed your modem in the best possible location at time of install. As time goes on, changes may occur within or around the home that could impact the performance of the modem. Check that your modem is at the same location where your TELUS technician installed it. If it has been moved, put it back in its original location.